Many moons ago, when I was nobbut a lad and sequencing the human genome was 30 years away, we nevertheless knew that there was something very odd about our genetic code. We knew there were three thousand million base pairs but that only a tiny fraction of that (a few percent) was necessary to encode all the proteins found in our bodies. What was the rest doing? As a sort of explanation two terms came into vogue: ‘selfish DNA’ (meaning stuff that just reproduced itself because it was there) and ‘junk DNA’ meaning everything that didn’t code for proteins. One of the few predictions I’ve made that turned out to be right was embodied in a refusal to use either term – and if there’s anyone who can recall anything of my supervisions (that is, what the rest of the world calls tutorials) they might back me up on this. It’s true that, as time went by, we increasingly appreciated that non-coding DNA is important in controlling whether individual genes are switched on or off – that is, whether they make RNA and from that protein, according to sequences embedded in the DNA, or whether they make nothing. However, getting a real grip on what all that seemingly spare DNA is doing has turned out to be so challenging that it is only now, 10 years after the first human sequence was produced, that we have hard data to go on. That unveiling has come from a follow-up called the ENCODE (Encyclopedia Of DNA Elements) programme – an international cooperative of extraordinary scale, with its heart at The Sanger Centre just outside Cambridge and with its head one Ewan Birney. Birney is a computational biologist – a new breed of scientist whose strength lies in bringing to bear methods that make sense of the vast amounts of data generated by current DNA sequencing techniques. A glance at the summary of what ENCODE involved suggests that, in the unlikely event of his getting bored with science, Birney would make a pretty good fist as Secretary-General of the United Nations. I’d like to try and persuade you that scientists are wonderful and lofty forms of our species but, alas, in fact they are generally ambitious, driven, self-centred, ruthless and intolerant. To make matters worse, quite a few are very smart. To get nearly 500 of the world’s best to sink self-interest and focus on one aim in a multi-national, multi-lingual, multi-racial collaboration that requires rigorous assessment of data and in which the scope for individual glory is almost negligible might well qualify as the greatest feat of man-management in the history of the human race. So Birney’s a star but what did the world get for its money? The short answer is that we now know that, far from being ‘junk’, most of our DNA – over 80% – does something useful. Whilst only 1.6% carries protein-coding genes, much of the rest is important in regulating the activity of proteins generated from coding genes. The regulatory activity comes in the form of RNA: as we noted just now, DNA makes RNA makes protein – and the DNA sequences involved are called genes. But there’s a second class of genes, ones that transcribe DNA sequence into RNA – but then things stop. The RNA doesn’t go on to direct the making of proteins but rather goes off and regulates well, almost everything. So this second group are non-coding genes – because they don’t ‘make’ proteins. How does the RNA of non-coding genes work? Well, in essence by sticking to other RNAs and to proteins themselves. What ENCODE has revealed is a panoply of types of RNA that comes in a wide range of sizes and has a finger in almost every bit of the cellular pie. So these varied RNAs act as cellular controllers at many levels and because cancers result from the subversion of normal control you would correctly guess that mutations in non-coding genes can be every bit as important as those that affect protein function directly. Does this help in dealing with cancer and are there any bargains in the junk store? The short-term answers are ‘no’ and ‘lots – in theory’. As units of this army of RNAs help to control how we work normally, they also can go wrong – become mutated – so we have a new set of potential players in the cancer game. Detecting when individual RNAs join in won’t be so difficult: the real cancer challenge now is not target-spotting, it’s making the bullets to hit the targets. Maher, B. (2012). ENCODE: The human encyclopaedia. Nature 489, 46-48. Birney, E. (2012). 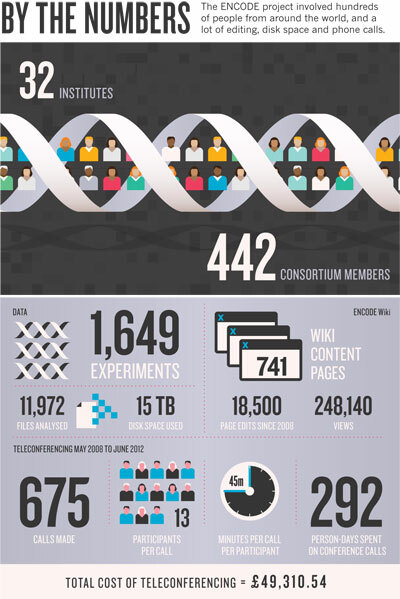 The making of ENCODE: Lessons for big-data projects. Nature 489, 49-51. The announcement that the 2012 Nobel Prize in Physiology or Medicine had gone to John Gurdon – jointly with Shinya Yamanaka – might well enter the Guinness Book of Records as the least surprising in history. Certainly in Cambridge, where Gurdon has worked since 1971, for as long as I can remember it has always been a matter of ‘when’ not ‘if.’ I guess having The Institute for Cell Biology and Cancer named after you, as it was in 2004, is a bit of a clue to his standing. 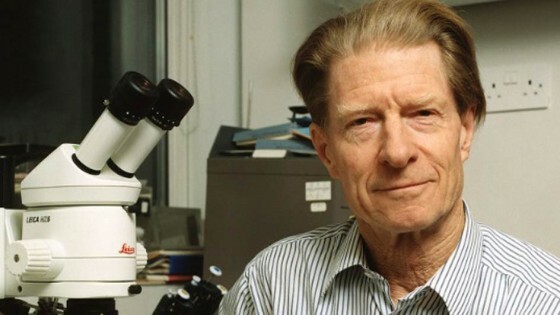 The work that launched Gurdon’s career in the 1960s showed, in effect, that the nucleus of every cell in the body contains the same genes – that is, the complete sequence of the individual’s DNA. The basic method was to use frogs, replacing the nucleus of an egg cell with that of a mature cell taken from the intestine. 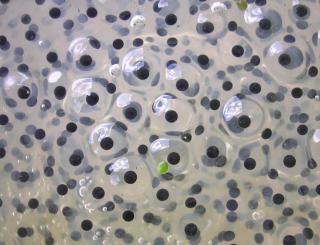 The fact that the modified egg turns into a normal tadpole shows that all the information needed to make the animal is retained in the DNA code of fully developed cells. Many years ago (over 30, I’m abashed to calculate) I was lucky enough to receive a personal demo of how to manipulate frog eggs in Gurdon’s lab from a friend who worked with him. As everyone knows, the eggs are quite big – about 1 mm in diameter – so you don’t need a microscope to see them – and in her hands fiddling with their nuclei looked pretty easy. It’s not, of course, which is why Gurdon’s early experiments caused controversy: not only were the results completely unexpected but quite a few people failed to reproduce them until sufficiently skilled hands had a go. 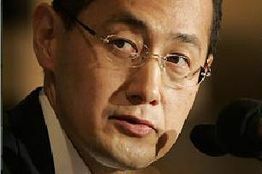 Shinya Yamanaka, working in Kyoto, followed this up by unveiling the specific genes that are needed to make ‘pluripotent’ cells – cells that have the capacity to develop into any of the many cell types that make up a body. In a series of the most elegant molecular biology manipulations, he started with a large panel of genes previously implicated in controlling embryonic stem cells. From these he teased out four that, when ‘switched on’ to make their encoded proteins, can confer pluripotentcy. Their work has already had massive consequences. It’s founded a new branch of science – stem cell biology. Most famously, this has produced Dolly the Sheep – the first mammal to be cloned from an adult cell – but it has also led to skin being grown in the lab for use as grafts to repair burns and, even more astonishingly, to the creation of entire organs (e.g., bladder) from the patient’s own cells to provide a transplant that will not give rise to an immune response and hence rejection. It has also had an impact on cancer – perhaps unsurprisingly given that the genes identified by Yamanaka can rejuvenate cell growth, and abnormal proliferation lies at the heart of the disease. Two of the pluripotent genes he identified are ‘oncogenes’, that is, they can help to drive tumour development (Myc and Klf4). This has generated the ‘cancer stem cell hypothesis’ that arises from the fact that some of the cells in tumours have features similar to those found in embryonic stem cells (e.g., they can be distinguished because they make the some of the same surface proteins). The significance, of course, is that working out how to control pluripotency may also reveal ways of targeting cancer cells. So none would argue the award is overdue – Gurdon’s former schoolteacher, who wrote that ‘his ideas about becoming a Scientist’ are ‘on his present showing … quite ridiculous’ and whose report he still keeps, is presumably imparting his perception in the classroom in the sky. But how has the Prize affected Sir John, you might wonder? Well, not detectably in that he has commented that‘It isn’t going to be particularly productive to clear off to some exotic place and I don’t have a yacht’ and indeed, most days you can still spot a tall, distinctive figure walking determinedly along Tennis Court Road, where The Gurdon Institute lives, usually with woolly hat pulled firmly down against the elements, at 79 years young the very embodiment of what science is really about. Gurdon, J. B.; Elsdale, T. R.; Fischberg, M. (1958). “Sexually Mature Individuals of Xenopus laevis from the Transplantation of Single Somatic Nuclei”. Nature 182, 64–65. Gurdon, J. B. (1962). “The developmental capacity of nuclei taken from intestinal epithelium cells of feeding tadpoles”. Journal of Embryology and Experimental Morphology 10, 622–640.